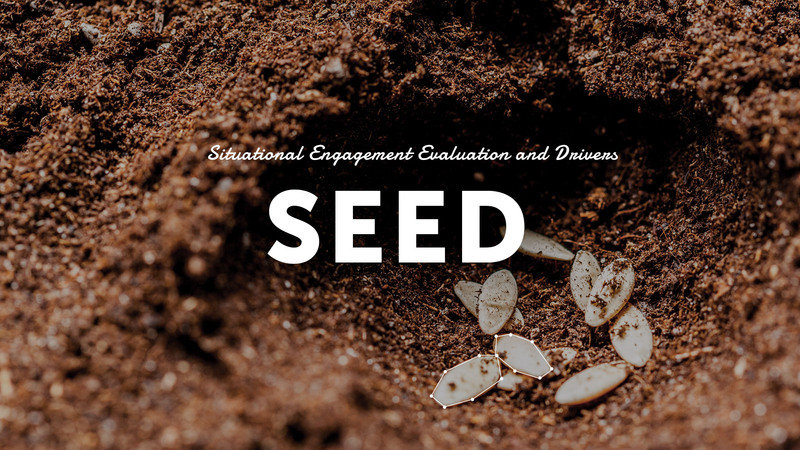 SEED is the diagnostic tool we created to let you have a clear picture of the level of engagement in your organization or in your team. Thanks to its graphical output, you can have a detailed vision of what motivates each individual in their current work environment. SEED is a questionnaire that allows us to set a score and a priority level for 20 motivational drives as well as a level of importance to 4 different work environments. Thanks to SEED, we can obtain useful information to guide managers with their engagement skills and to help teams with their motivation towards their company, providing all the necessary support. SEED provides teams and companies with simple albeit rich feedbacks, and produces plenty of information on the individual’s motivational drives, especially on those that need to be monitored, encouraged or taken care of.